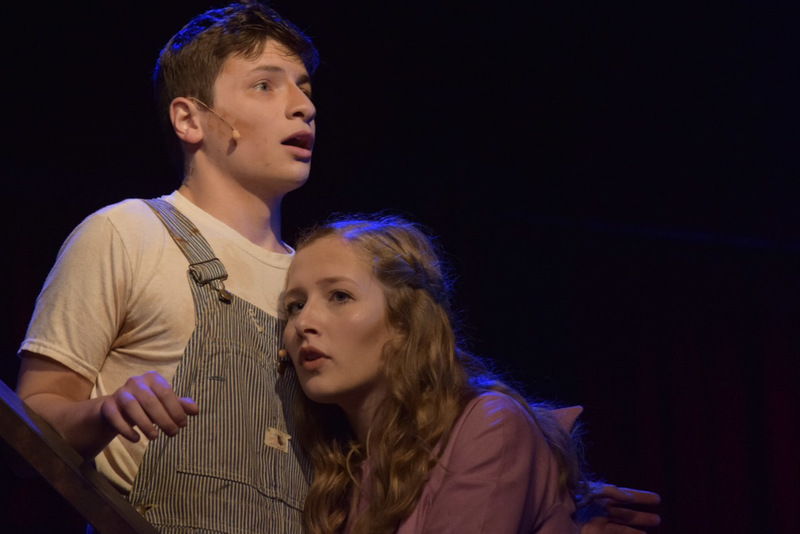 Pittsburg High School Theatre Department has been selected to perform its fall musical, “Urinetown,” on the main stage on opening night of the 2018 Kansas Thespian Festival on Jan. 4. The show, produced Nov. 17-19 at PHS under the direction of Greg Shaw, was accompanied by a live band comprised of band students under the direction of Cooper Neil. Vocal direction was by Susan Laushman, and tech direction was by Chuck Boyles. As part of their semester-long rehearsals, the cast also completed a master class with Broadway actress Janine DiVita, who once played the lead female role of Pennywise. The invitation to perform at the state level was made after their fall performance was judged by representatives of the festival. 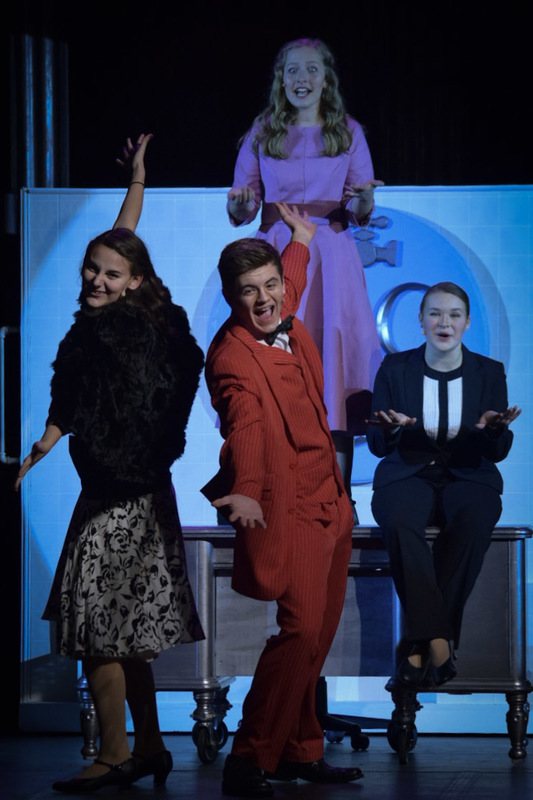 Held annually in January at the Hyatt Regency Wichita and Century II Performing Arts and Convention Center, the festival draws approximately 1,800 high school theatre students and their teachers. Students from PHS Theatre regularly attend the festival to participate in workshops taught by college theater professors, high school drama teachers, and guest artists from around the country. The students are responsible for paying their own way, and Friends of PHS Performing Arts provides chaperones and meals throughout the three-day event. Colleges take displays to promote their theatre programs, and students compete in individual events for a chance to qualify for the International Thespian Festival in June. Five schools from schools judged across the state are selected to perform each year. This is the second time PHS has been selected to perform in the past three years; in 2015, the fall musical “Band Geeks” was chosen. 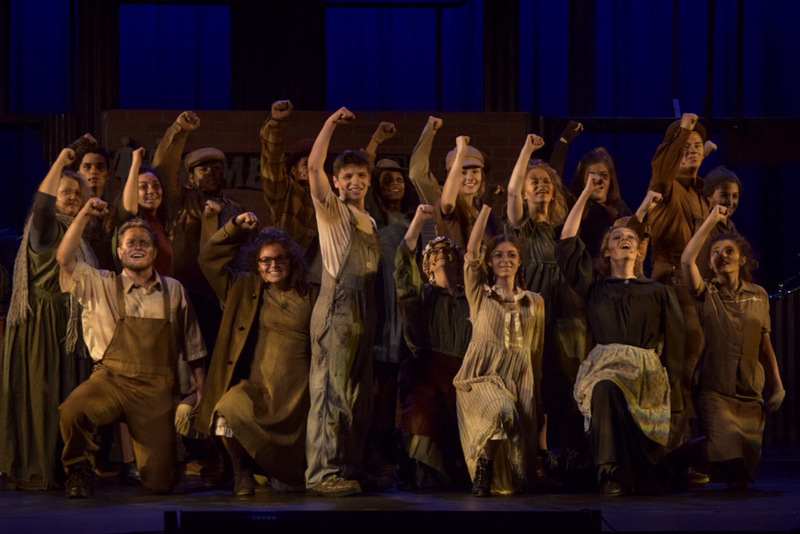 Details will be released soon about a prep performance of “Urinetown” at Memorial Auditorium that also will serve as a fundraiser to offset the additional costs associated with taking the 70 students comprising the cast, crew, and band to the festival. That prep performance will be open to the public. More details will be released as they are finalized. “Urinetown” brings to life a side-splitting send-off of greed, love, revolution (and musicals! ), in a time when water is worth its weight in gold. A former Broadway show and winner of three Tony Awards, three Outer Critics Circle Awards, two Lucille Lortel Awards and two Obie Awards, “Urinetown” is an hilarious musical satire of the legal system, capitalism, social irresponsibility, populism, bureaucracy, corporate mismanagement, municipal politics and musical theatre itself!